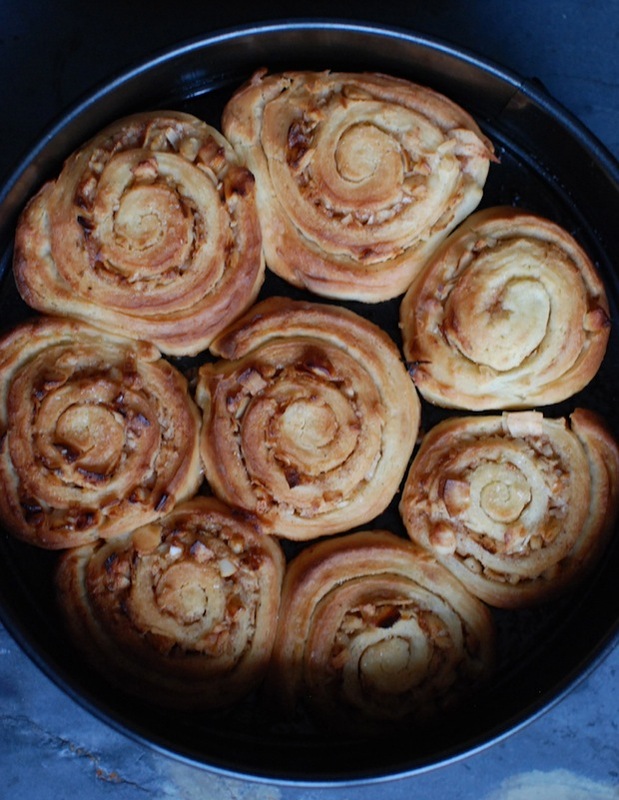 i’m walking a fine line by posting any other recipe than Paska at Easter time…it simply would not be Easter without this deliciously airy and “lukka” (light but still textured) sweet bread. It is simply the best. But in the spirit of baking with yeast, i thought i might be able to make something that wouldn’t require a day of being in the kitchen. 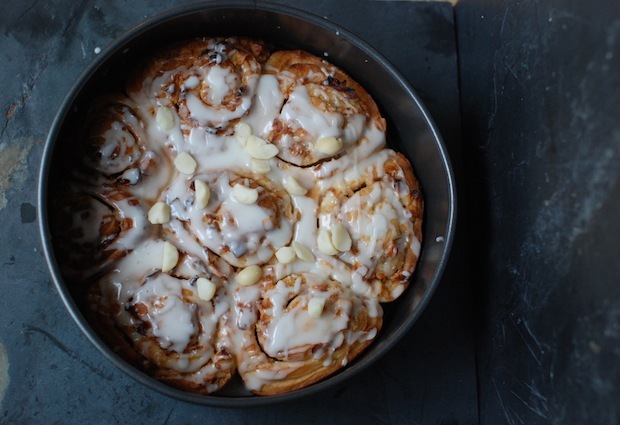 The result were these yummy sweet rolls. I made the recipe with some of my favourite flavours as well, giving them a tropical feel. Because, if i can’t live amongst the palm trees, i can certainly pretend! 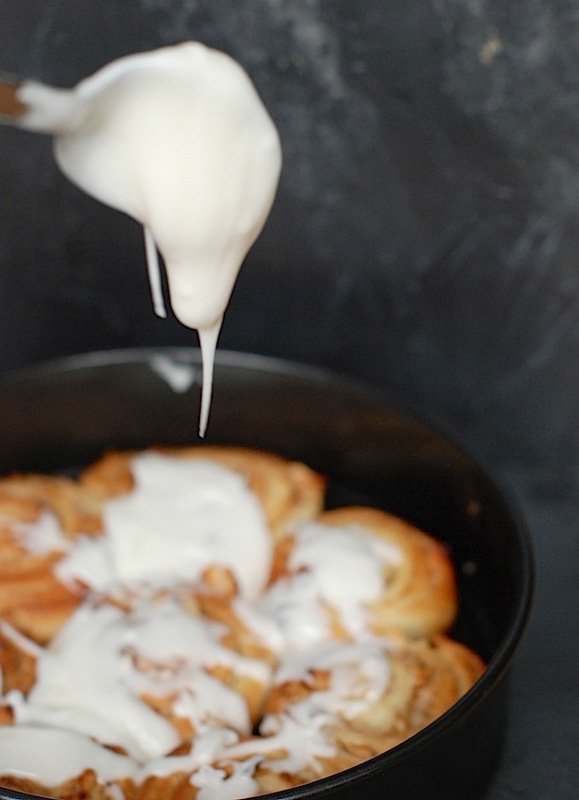 This recipe caught my eye because it doesn’t have to be made in one sitting…do all the prep and let the yeast rise the night before… roll out and bake the next morning. My kind of recipe! Fresh lime, coconut flakes, nutmeg, cinnamon and macadamia nuts are some of my favourites… fresh citrus with fragrant spices. And you can never go wrong with mac nuts. Just because! Prepare the dough and keep in fridge until ready to bake. After rolling the dough out in a large triangle shape, spoon the lime filling overtop being careful to stay away from the edges. 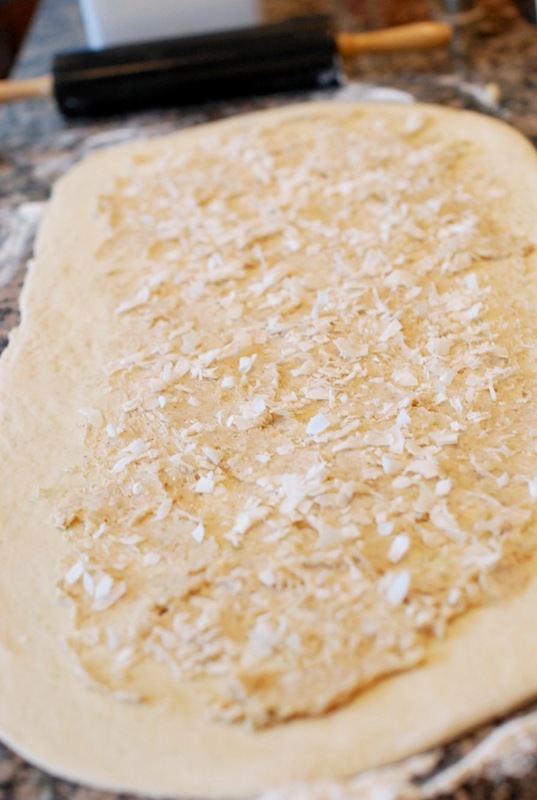 Sprinkle coconut flakes overtop..my favourite are the large, unsweetened ones, but really any type works. 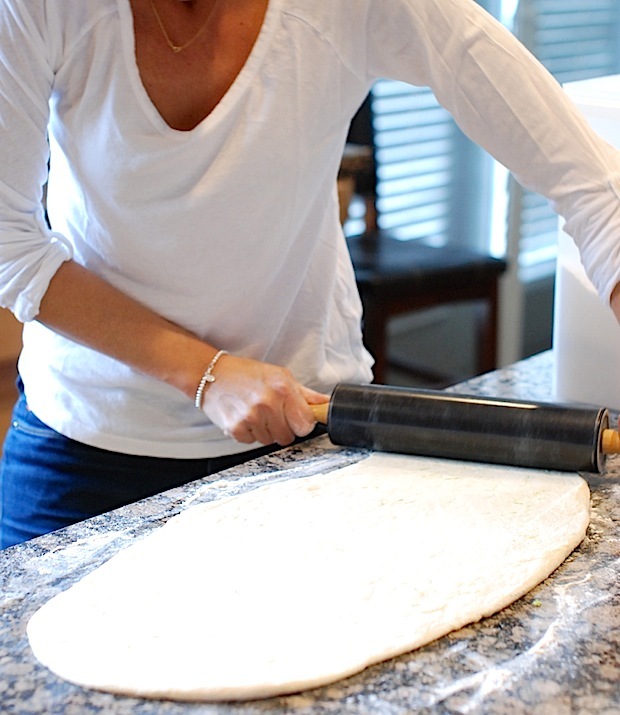 After rolling the dough towards you, pinch the edges and then turning the pinched edge down slice into rolls…1/2″-3/4″ thick. 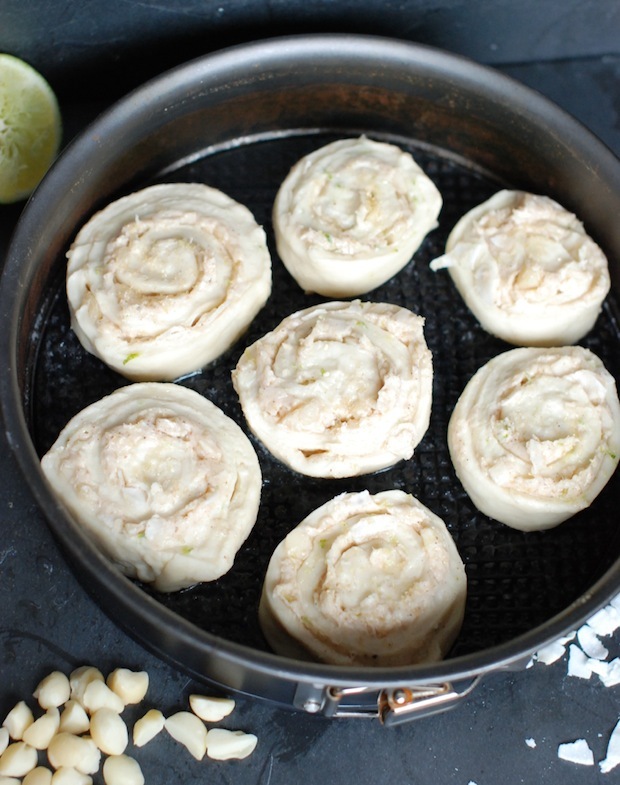 Place rolls into springform pans or pie plates…this recipe makes about 21 rolls! When warm, spoon a generous amount of the glaze overtop. YUM! To make the dough, combine the milk, vegetable oil, and sugar in a large saucepan or small pot. Heat it until just about to boil, but don't allow it to boil. Turn off the heat and let it cool until warm...but not too warm! Add 4 cups of the flour and the yeast, and stir to combine. The dough will be very sticky at this point. Cover the pot and let it rise for an hour. Add the remaining flour, the baking soda, the baking powder, salt, lime juice and lime zest. Stir to combine. Then you can proceed with the rolls OR refrigerate the dough, covered, until you need it. 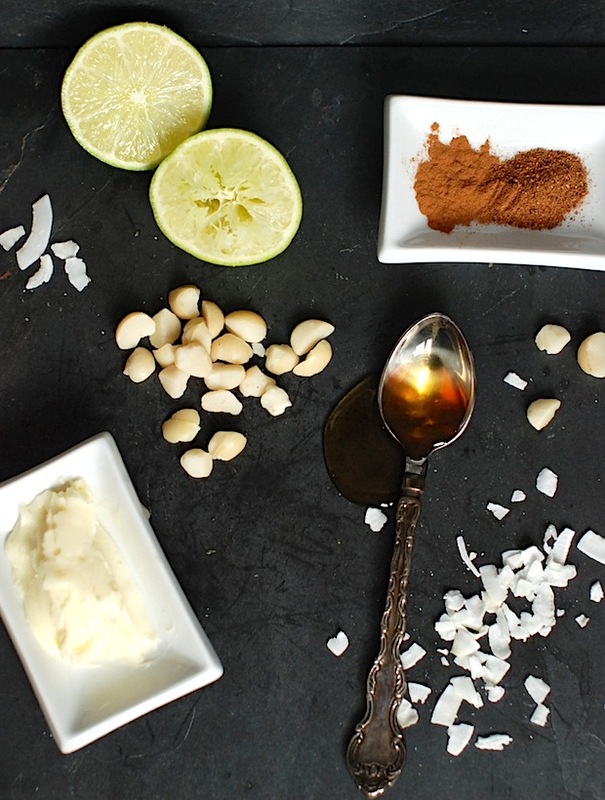 Combine butter, honey, cinnamon, nutmeg, salt, lime zest and macadamia nuts. When you're ready to make the rolls, preheat the oven to 375 degrees and roll out the dough on a floured surface to a rectangle about 10 x 30 inches. Spoon the lime filling all over the dough and spread it out evenly. Sprinkle coconut flakes overtop the filing. 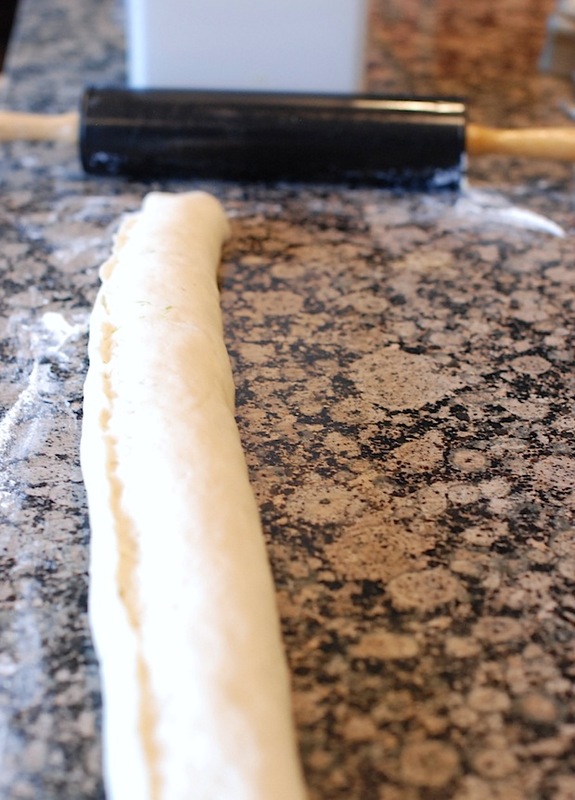 Roll the dough toward you into a long, tight roll. Pinch the seam when you get to the end, then turn the roll over so that it's seam side down. 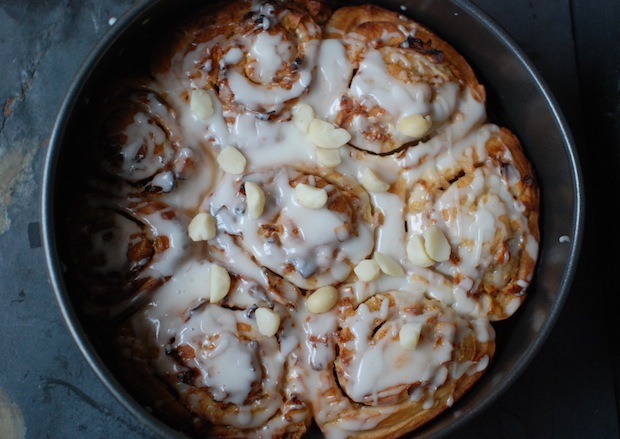 Slice the dough into rolls ½ inch to ¾ inch thick and place them into disposable foil cake pans with a little melted butter spread into the bottom of each pan (the rolls will fill about 3 to 4 pans.) Set the rolls aside and let them rise for 20 to 25 minutes, then bake them for 15 to 18 minutes, or until they're nice and golden. Mix icing sugar, lime juice and vanilla. Spoon generously over warm rolls.